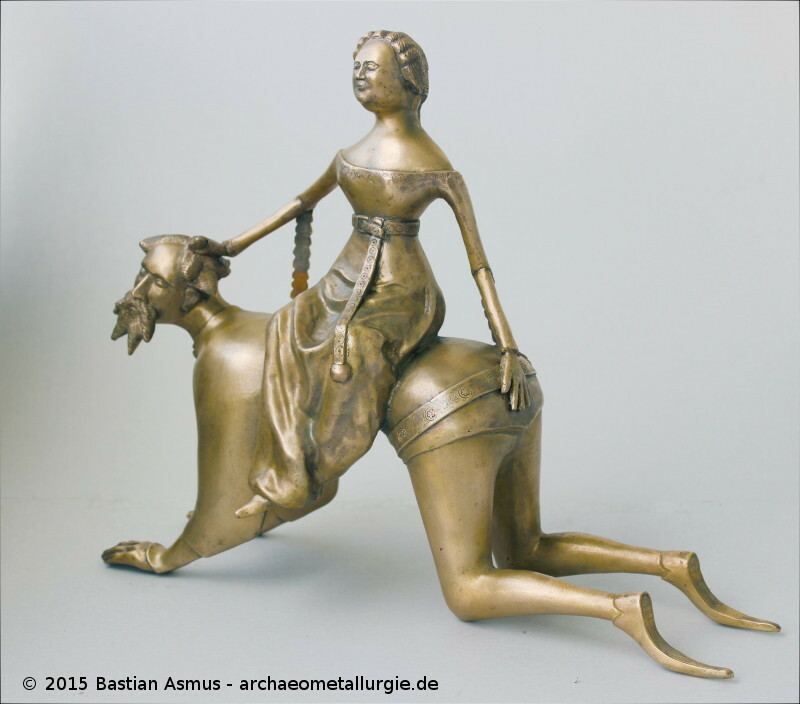 Aristotle and Phyllis aquamanile, 2015 by Bastian Asmus made after a 15th century original from the low countries. 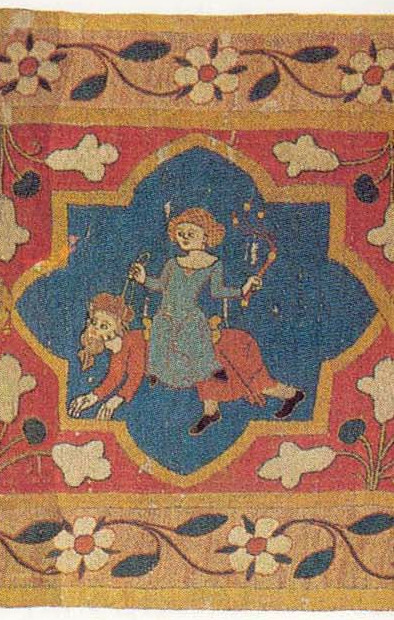 Aristotle and Phyllis in the Malterer tapestry. Now in the Augustinermuseum Freiburg. Source: Wikimedia Commons. 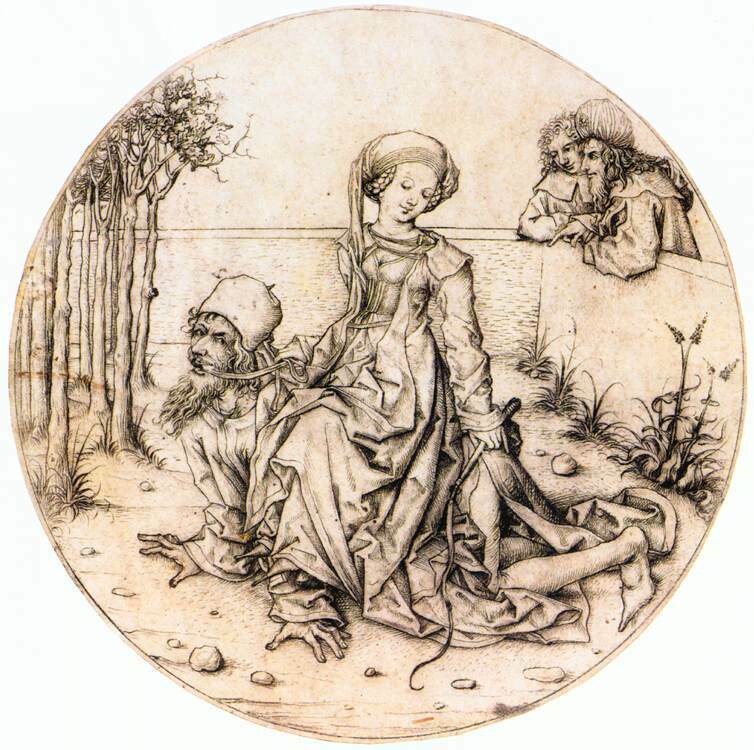 The Middle High German lay of Aristotle and Phyllis probably originated in the 13th century in the upper Rhine region between Basel and Strasbourg. 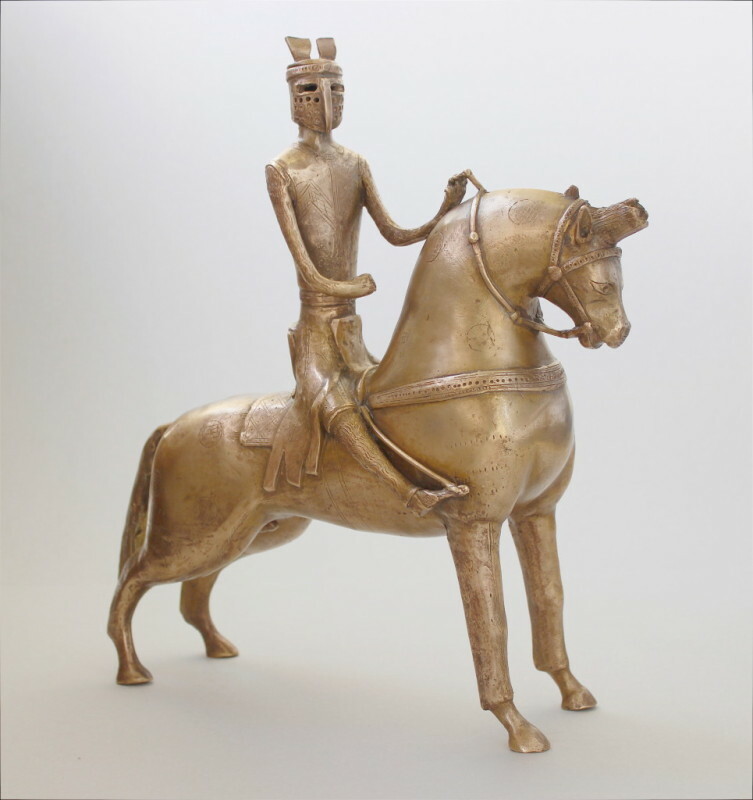 The story was a popular motif and is found not only in sculptural works, but also in tapestries and drawings. King Philip of Macedonia’s son Alexander, later called the Great, is educated by Aristotle. The young Alexander, madly in love with the beautiful Phyllis, is scolded by his teacher for his mental absence and warned of the dangers of love and/or women. Aristotle effects the separation of the lovers through intervention with the King. Musing on revenge beautiful Phyllis seduced Aristotle. As price for her love she demanded that she could ride around in the gardens on his back. Whilst doing so Aristotle is discovered by the Queen and Aristotle falls prey to shame and disgrace, because he could not meet his own requirements. He was exiled and pondered over the wickedness of the world. Aristotle and Phyllis. Hausbuchmeister 15th century. Source: Wikimedia Commons. The Aristotle and Phyllis aquamanile was modelled in wax and cast in the lost wax technique. It can now be seen in the newly founded European Hanseatic league Museum.